Step 1 Heat the oil in a saucepan on a medium heat. Step 2 Add the garlic and cabbage and sauté for 10 minutes until the cabbage is soft. Step 3 Add the stock, boil, cover and simmer for 20 minutes. Step 4 Remove from the heat, add the spices and coconut milk. Step 5 Blend until smooth and season to taste. Step 6 Serve, slurp and enjoy! 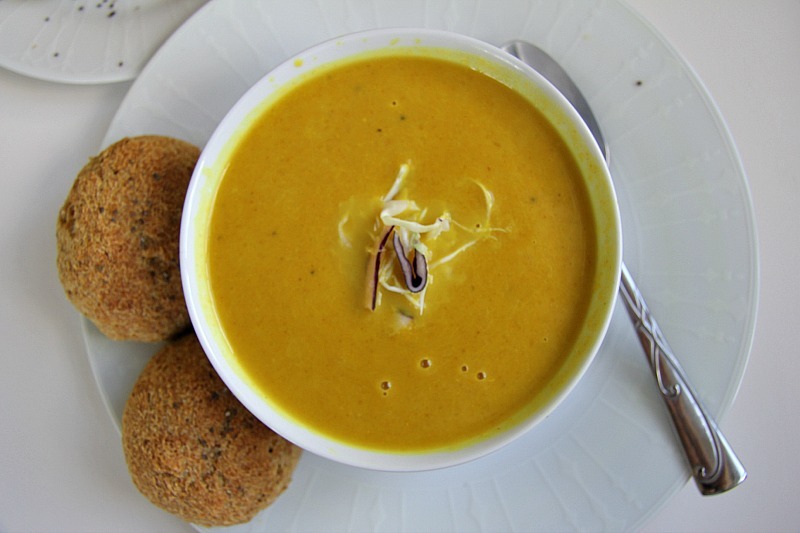 A cabbage turmeric nourishing soup with a splash of coconut milk. This also makes a great cleansing, anti-inflammatory soup. Handy for if you have a cold or are feeling under the weather.